8:30-9:30 AM Mondays and Thursdays beginning in June, 2019. 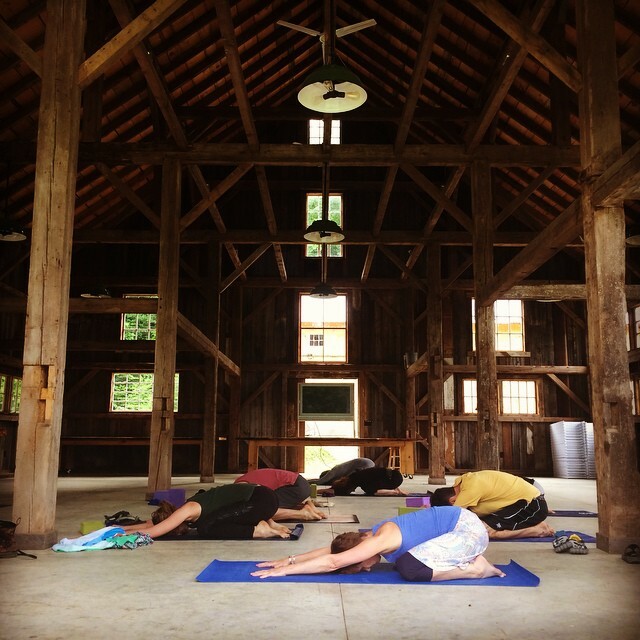 Join us in the event barn at Marble House Project throughout the summer for yoga. Build strength, create balance, improve flexibility, develop inner awareness, feel more grounded, and cultivate calm. Classes take place every Monday and Thursday and select Saturday mornings at 8:30 am. This class is appropriate for all levels; a gentle way to explore breathing, flexibility, and range of motion. Ease your body gracefully through a sequence of basic yoga postures: standing, seated, and reclining. Frequent reminders to bring attention and focus to physical awareness, principles of alignment, and synchronizing movement with breath. Please bring a yoga mat and wear comfortable clothing (bring an extra layer for warmup and cool-down). We ask that you do not wear perfume. Mats are available if needed.